Acer x Freemanii 'Autumn Blaze' possibly has the best vibrant red autumn colour of all Maple trees suited to the British climate. The yellow-green spring foliage turns green in summer before the infamous bright red and orange autumn colours appear. 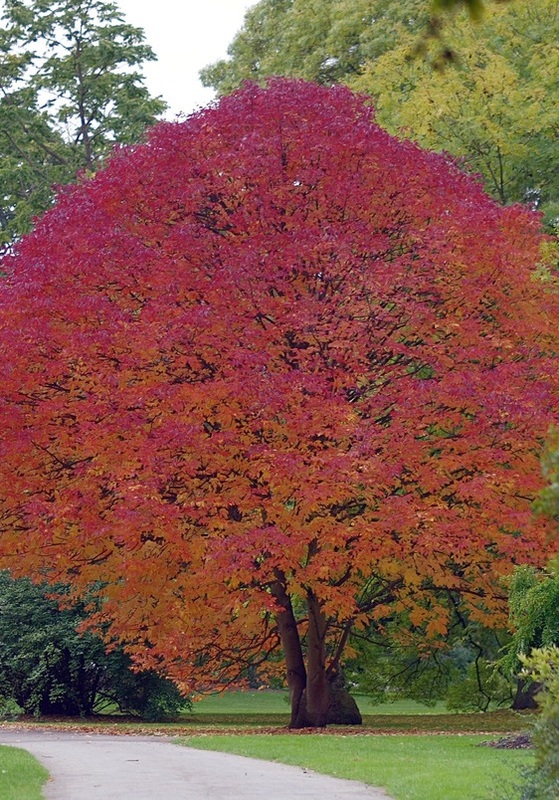 A fairly large and vigorous ornamental tree with an attractive oval-head, that can reach 7 x 4 metres in 20 years. 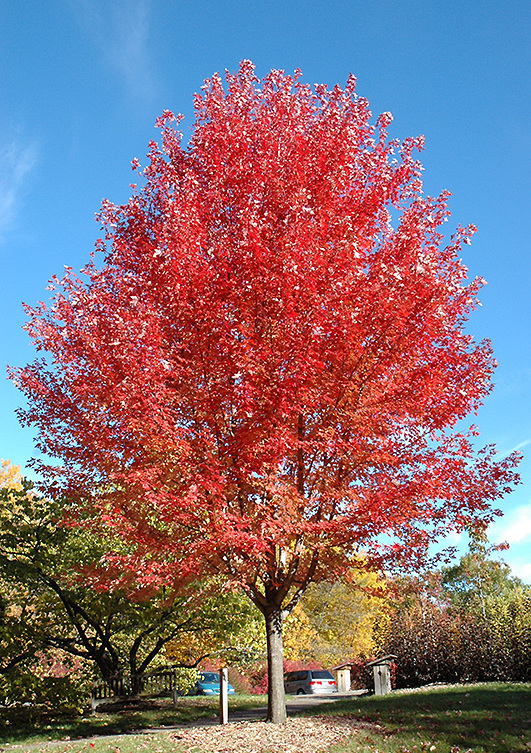 Also known as Acer Freemanii Jeffersred or Freeman Maple, it grows in most positions, including North facing and partial shade. 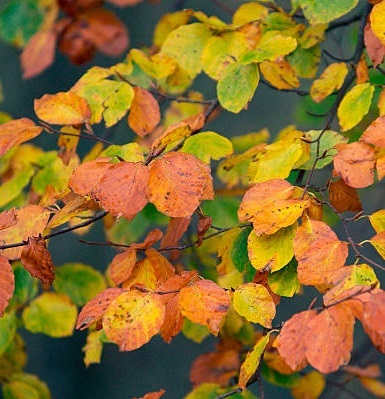 Beech trees leaves transform from green to orange and yellow in the autumn. They can be grown in well-drained soil in sun or part shade. They are suited pretty much to any pH and soil type, and will therefore grow in most areas of the UK. They do however grow extremely tall – so make sure you have enough room before you plant one. 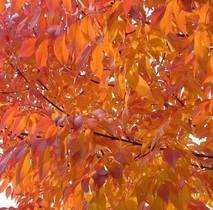 Fraxinus Americana, or White Ash, is big tree suited to large spaces. 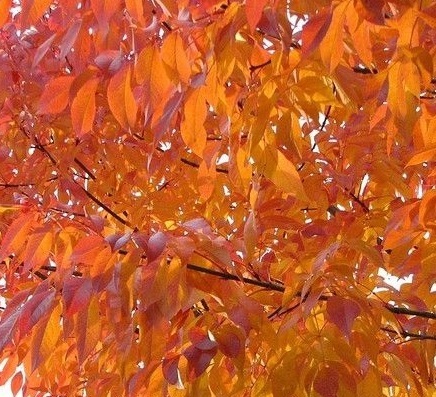 Native to Eastern North America, fast growing deciduous Fraxinus Americana was introduced to the UK in 1724. 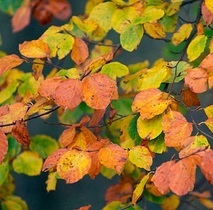 In autumn, they turn an attractive yellow with purple shading. 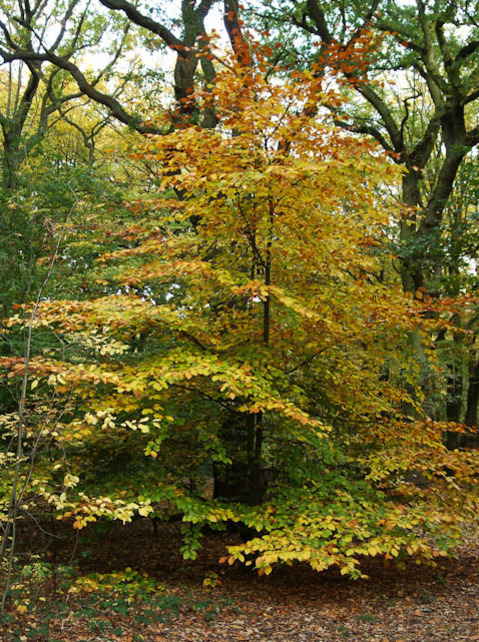 Hardy in all of the UK, it will quickly grow to a mature height of 30 metres and spread of 15 metres within 50 years. Best planted in full sun in an exposed or sheltered position in moist, well-drained sand, loam or clay soil with plenty of organic matter. 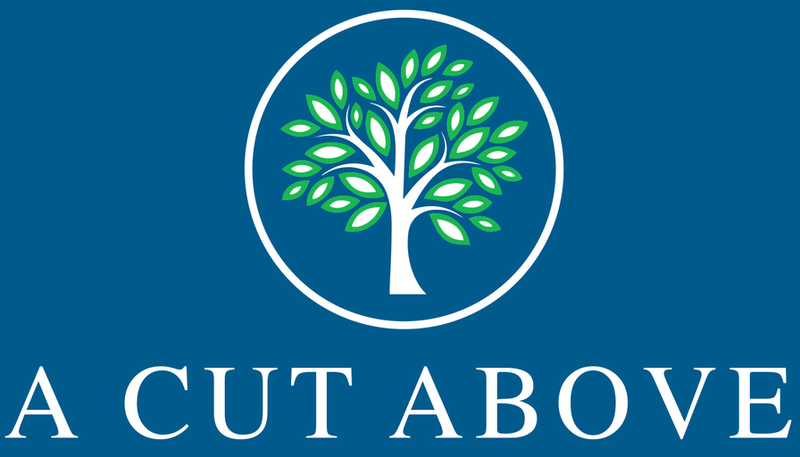 It is not suitable for planting in coastal regions, but has a high tolerance for pollution, and thus makes a good specimen tree in city locations. 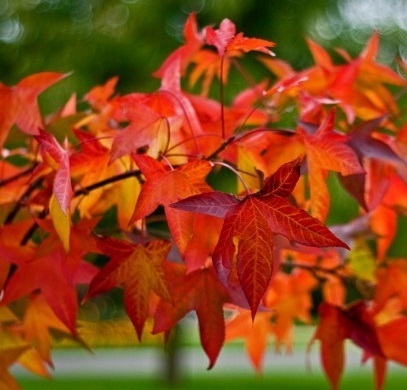 Liquidambar or Sweet Gum trees are some of the very best trees for autumn colour, with the foliage turning wonderful vibrant shades of red, orange, yellow and purple. 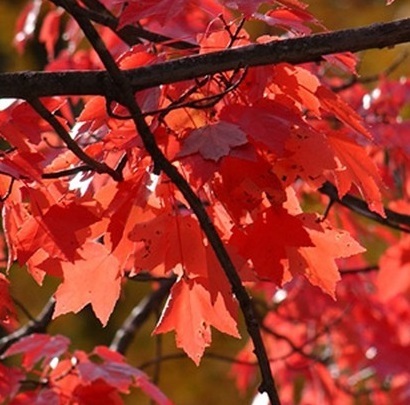 The star-shaped leaves are reminiscent of Maple leaves and further interest is provided by woody seed clusters in winter that are known as "gumballs". 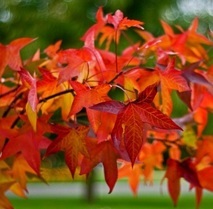 Liquidambar is a small genus made up of four species of deciduous trees, all of which provide incredible autumn colour. 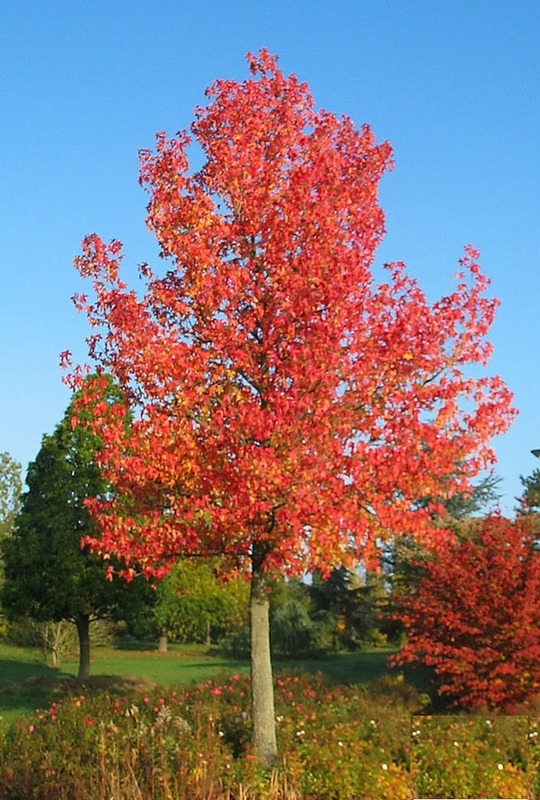 Liquidambar are easy to grow. They are tolerant of most soils and also of winter wet. Like most plants, extremes should be avoided. You need to be a bit careful with young trees if planting them in a windy site. 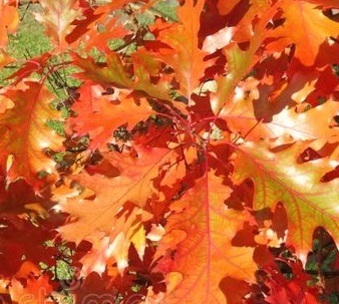 Red Oak / Quercus Rubra is a grand tree, with shades of yellow, bronze and most predominately, red in the autumn. 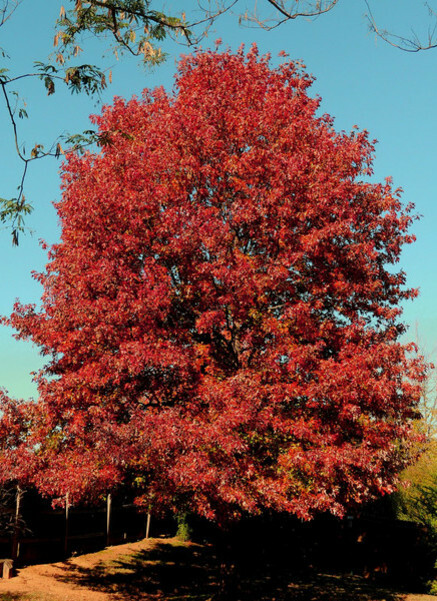 The colourful foliage of the Red Oak trees deeply rounded crown makes the perfect nesting site for birds. The spring catkins are a source of nectar for bees and once pollinated, become the easily recognised acorns which are popular with wildlife, such as squirrels. 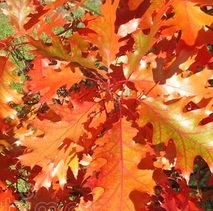 Quercus Rubra is fast growing and spreading, reaching a height and spread of 10 x 8 metres in 20 years. Any well drained soil will suit that is lime free, exposure isn’t a problem for this tough Quercus tree.